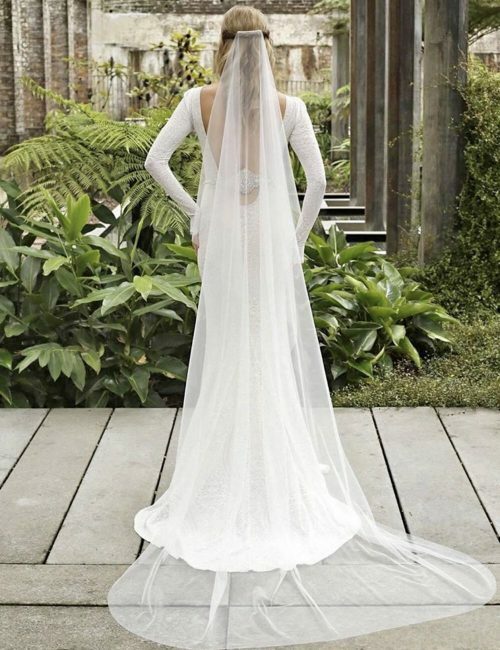 Leave everyone breathless with our Maya sheer veil! 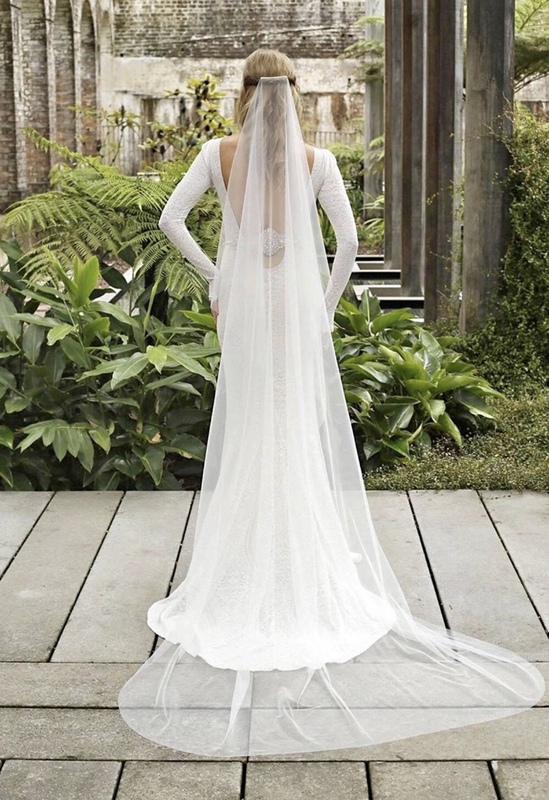 Designed to compliment the latest wedding dresses where the back takes centre stage. 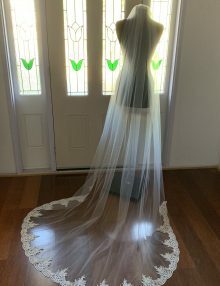 If you’re looking for a barely there, ultra sheer veil, then this is the veil for you. 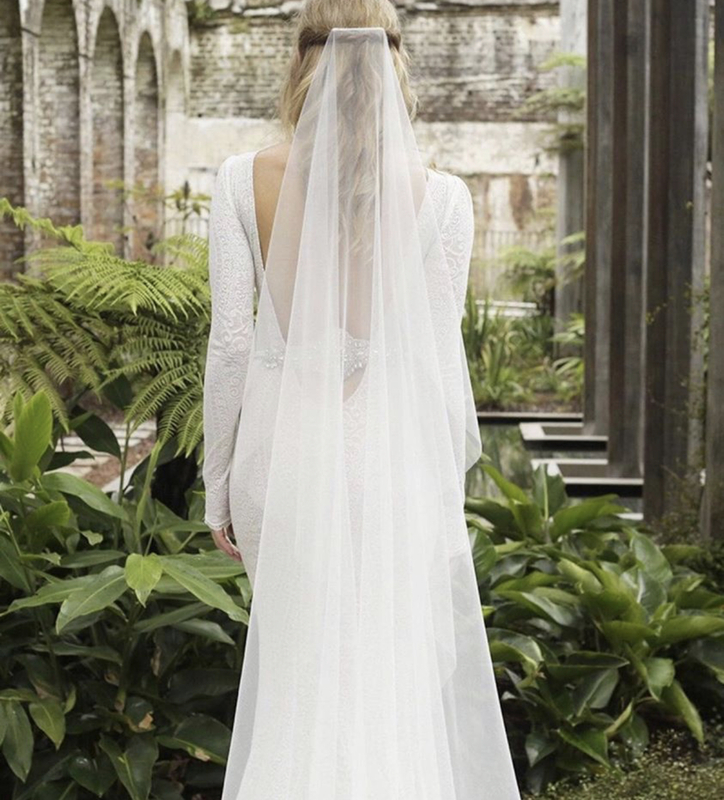 Our Maya sheer veil is a single layer and falls to the floor gracefully with no puffiness at all. It has no gathers at the comb and drops ever so softly. 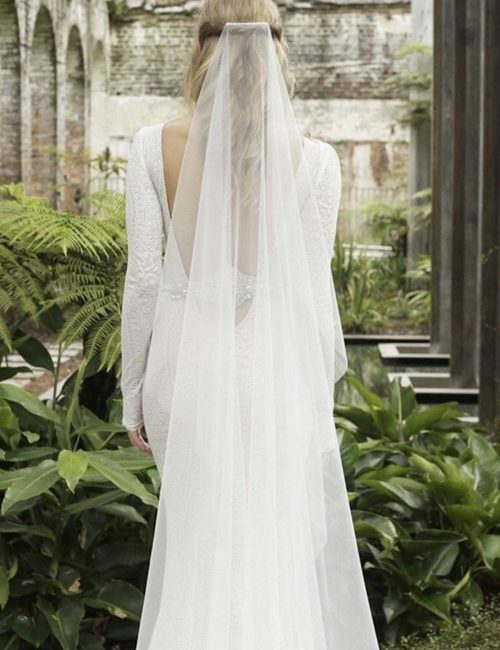 Made from the softest tulle for a beautiful bridal look. Can be worn with an up or down hairstyle, or towards the back of the head. Cannot be worn over the face. 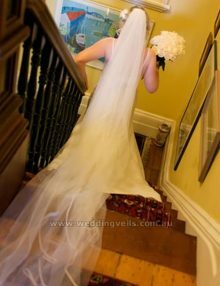 Starting from floor length (180cm) and available in longer lengths. Select from the options. 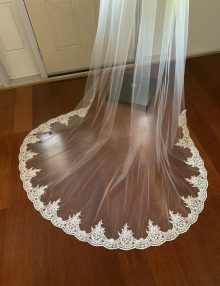 Made from Superfine tulle which is soft and sheer. 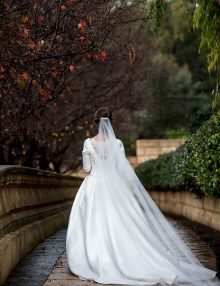 Available in White and Ivory.